This week we are charting the latest in handbag trends we love for the season from the classics to the creative. With the recent spurt in growth of local private accessories labels such as Nakshi, Mahin Hussain, Krizmah, F&S to name a few as well as the major quality improvements in the commercials brands such as Jafferjee’s and Hub Leather, we are glad to see increasing attention being paid to this market for which there is a steep demand. The gradual realization among designers for the need to emphasize signature branding and individual style has resulted in sparking a volley of creativity. Let’s break down the major leading trends currently at play both globally and locally. First off we have the over-size envelope flap clutch. The style developed from the over-size handbag fever and now the sleek and slim leather makes a statement with any ensemble. It can be worn in bold monochrome hues as well as color blocked with a two tone flap and base. We love the Tory Burch Robinson envelope in bright fiery orange. You can also skip the envelope and just keep a regular flap such as the enlarged textured clutch carried by Safinaz Muneer at the Aesthetics International Clinic Launch. Studded adornments are in play in everything from clothes to shoes and bags. The metallic punk rock look ignites a strength and confidence to your look and the Michael Kors Gia Studded clutch in ecru sculpted with pyramid gold hardware hits the spot. Do you remember the plastic glitter clutches our moms used to carry back in the day? We hope you saved them because they are back with a vengeance. The vintage acrylic metallic glitter box clutch in gold and silver is the perfect amount of shimmer for an evening out. The Candy Jimmy Choo clutch is a must have classic available in champagne, silver, purple, red and many more tasty hues. The Trapeze Tote is the latest most innovative styles in the tote world and we simply love the shape. The subtle alteration of the side flaps adds a whole new dimension that is sleek and smart. The extra flaps allow the perfect excuse for color blocking and it also infuses a softness to the sturdiness of the regular tote. Our pick for this style would be the Celine Luggage Tote as carried by elegantly Maheen Karim at the Versace Yellow launch and for a smaller version of the angular shape try the Z Spoke Zac Posen, we love love this in cobalt! Monochrome and exotic skin textured bags are essential this season and making the cut we have the Hermes Jige in its many attractive colors. The forever chic style diva Shehla Chatoor agrees with us and was seen wearing the signature leather clutch in both Elan blue and taupe at Fashion Pakistan Week Day 1 and Day 3 respectively. We also adore the berry pink shaded snake skin Valentino Ayers Lock bag with the statement gold studs down the front. The Fashion Compassion Nawa snake skin is another addictive product that is ultra cute and available in a galore of colors. Jewelled and embellished clutches are making waves globally and the recent Valentino Spring 2013 collection saw some elaborate bead and stone work creations. Now here’s a trend that we can easily avail at home as well. There is an exquisite range of Swarovski crystal and diamante, polki, sequin and bead work crafted formal and evening clutches accessible through luxury private labels such as Nakshi, F&S and Sadiqa Awab to name a few. 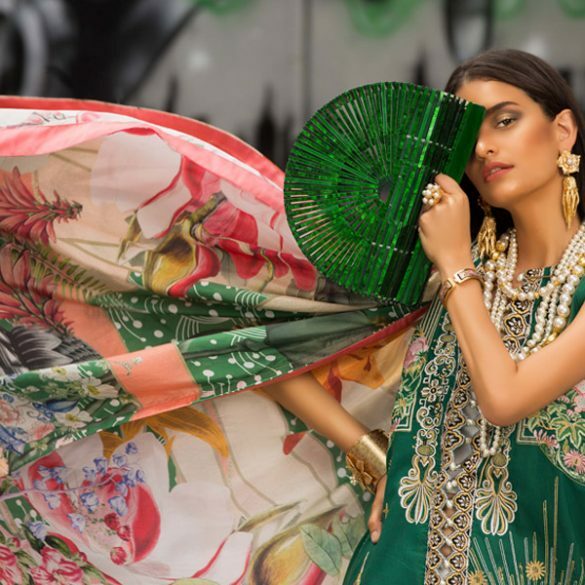 Ethnic inspired cultural pieces are always in style, and the unique embroidered creations of Mahin Hussain and Krizmah are an admirable art form. The symbolic detailing and signature style makes them trendsetters in the field. While Mahin represents modern pop culture Krizmah captures the folklore riches or Chitral. Their pieces are indeed a collector’s item. The clear transparent bag is a strange concoction that has been met with unpredictable popularity. This highly unconventional accessory seemingly inspired by Cinderella’s glass slippers is not for everyone. You will either love it or hate it, but if you love it you can choose from the Valentino Spring 2013 clear clutch, the Charlotte Olympia, or if you want to get really crazy, the Chanel cage flap. Finally a classy sophisticated wallet is crucial and the Salvatore Ferragamo Continental classic meets all our requirements. It’s crisp and polished and the understated minimalist look is eternally stylish. Weekend Obsession: Kayseria Wonders of Winter Contest!